Peaky Blinders returned to our screens last week. One of the most critically acclaimed dramas in recent years, the show has amassed an army of loyal fans, including many who would never usually watch a period piece. 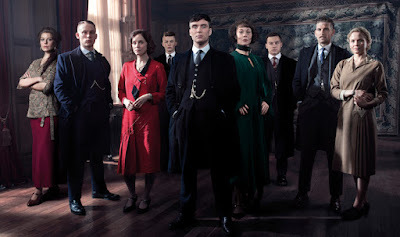 For anyone unfamiliar with the show, the story follows the fortunes of the Shelby family, and in particular, the head of the Peaky Blinders gang, Tommy Shelby, a veteran of the First World War, who seeks to legitimise his illegal gambling operation by taking over racetrack bookmaking pitches in the years following the war. Set in Small Heath, Birmingham in the 1920s, it's visually stunning and packed with brilliant performances. It’s been a hit in the UK, and due to a distribution deal with Netflix, is gaining fans across the globe. I recently interviewed Peaky Blinders creator and writer, Steven Knight, for Historia magazine (you can read the full interview here). I asked him about his inspiration for the series. He told me that the seed came from stories his parents told him about growing up in Small Heath in the 1920s. The Peaky Blinders that we’ve come to know – Tommy Shelby and his charismatic family – are a fiction, but they’re based on stories from Knight’s own family background, something he clearly holds dear. But how much is fact and how much is fiction? 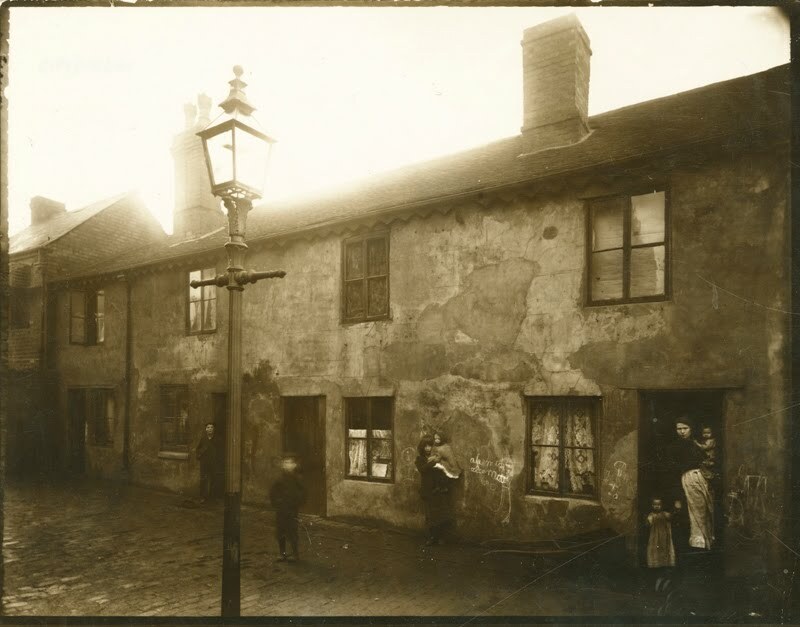 According to Carl Chinn, a Birmingham native and Professor of Birmingham Community History at Birmingham University, the real Peaky Blinder gang came to prominence in the 1890s. The first written record is found in newspaper reports of a brutal attack on a young man after an evening spent in a local pub. The incident was reported in the Birmingham press with no mention of the Peaky Blinders but national newspapers picked it up. Soon after, one London paper received a letter claiming that the Peaky Blinder gang of Small Heath was responsible. But this Victorian gang was a far cry from the organised mob depicted on our screens. They were typical of the street gang culture that arose in industrial centres in the 19th century, such as the Manchester Scuttlers and the penny mobs in Glasgow. The Birmingham gangs were known as ‘Sloggers’; violent young men scraping a living through robbery and threats who fought with sharpened belt buckles and iron bars. 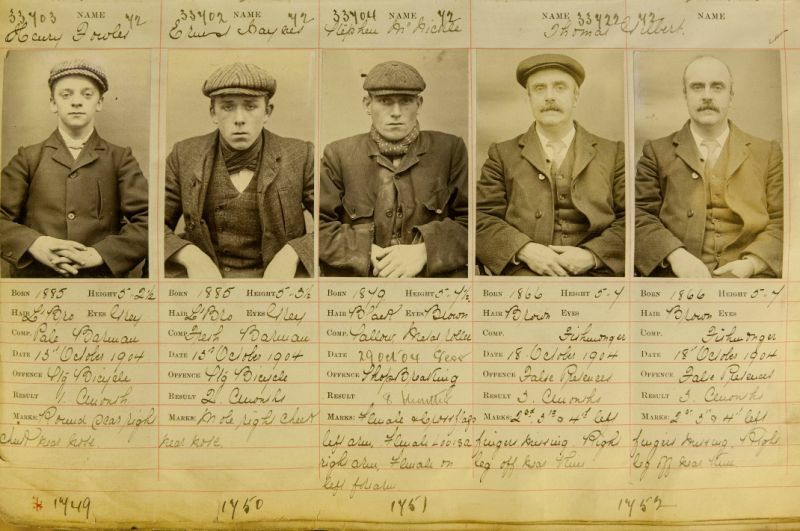 The Peaky Blinders were one of several street gangs that took their lead from the Sloggers. They were feared and they were lawless, known for their distinctive sartorial style of bell-bottomed trousers and silk scarves. But what of the razorblades sewn into caps? No evidence, says Chinn. 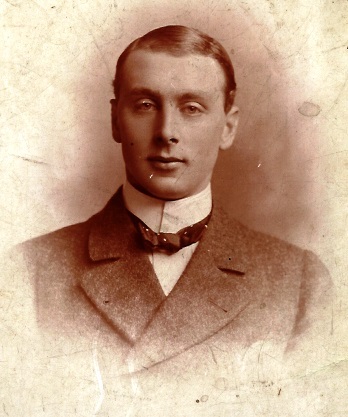 He claims that the name simply came from the fashion for young men in industrial towns to wear flat caps, rather than the bowlers of the previous generation. So is this an urban legend? Or is it rooted in truth? The Peaky Blinders terrorised Birmingham throughout the 1890s but their reign came to an end as the century turned. Chinn thinks this was largely due to increased policing and stricter sentencing under the tenure of Police Chief, Sir Charles Haughton Rafter, who came to Birmingham in 1899. Rafter was from Belfast, and was recommended for the post as 'skilled in the preservation or restoration of peace in troubled districts where party feeling runs high'. Rafter expanded the police force, recruiting men from Ireland to swell the ranks and was one of the first to employ women. Was he there to put down the Peaky Blinders or to suppress radical political groups? Whatever the case, it's tempting to assume that Knight has used Rafter as jumping off point for the wonderfully malevolent Inspector Campbell, as played by Sam Neill. Rafter’s policies worked and the Peaky Blinders were suppressed – historical references to them seem to disappear in the early 1900s – but that wasn’t the end of the story. New gangs emerged in the pre-war years, namely the Brummagem Boys, a gang of thieves and pickpockets who targeted racetracks and football matches, frequently resorting to violent tactics when their victims wouldn’t play ball. One man eventually emerged as leader of this gang and fans of the show will recognise his name: Billy Kimber. Kimber was depicted as Tommy Shelby’s cockney nemesis in series one but in reality he was Birmingham born and bred and head of the Birmingham gang; a charismatic man who, by the early 1920s, had risen to become one of the most powerful mob bosses in the country. He’s the closest real life counterpart to Tommy Shelby. Kimber rose to prominence through organised crime, running racecourse rackets. Legislation had made gambling illegal except at racetracks. Attendance at races was booming and punters were ripe for the picking. With roots in Birmingham’s illegal gambling operations, this was natural territory for Kimber to make his mark. With a willing army of men under his command, he soon did. In 1922 a police report declared that the Birmingham Gang was 'mostly made up of convicted thieves of the worst type', who had convictions from 'assaulting the police to housebreaking and from wounding to manslaughter'. Kimber used all manner of violent tactics to control the tracks in the North and Midlands and even attempted to take tracks from rival gangs in the South. But with power and ambition came opposition. Bitter war broke out between the Birmingham gang and London’s power players. Here we encounter another name that will be familiar with Peaky Blinder fans: Darby Sabini. The real Darby Sabini was a far cry from the slick, sharp-suited character portrayed with unhinged menace by Noah Taylor in series two. Hailing from Clerkenwell’s Italian quarter, Sabini had a rough upbringing. He began his career as a boxer and runner for local bookmakers who were reliant on protection rackets run by gangs to prevent robberies and avoid arrest. Heavily involved in this world, Sabini's influence increased in 1920, following a fracas with local London rivals the Elephant Gang (so called because they hailed from Elephant and Castle). Sabini floored the gang leader, breaking his jaw with a single punch, his previous occupation clearly coming in handy. Soon after he was running his racecourse racket out of The Griffin Pub on Clerkenwell Road. The violent clashes between racetrack gangs depicted in the series are based on fact. The early 1920s saw rival gangs staking claims over pitches, operating forced protection rackets and bribing police. The Sabini gang were notorious for using cutthroat razors as a weapon of intimidation. Newspaper archives are littered with reports of gruesome attacks. Perhaps this is where the association with the razorblade originates? Sabini also teamed up with some of Kimber’s rivals, among them the Jewish gangs based in London’s East End. In 1921 Kimber was attacked and shot during a pre-arranged meeting with Sabini, the gunman supposedly one Alfred Solomons. Though Kimber survived the gunshot wound, Solomons stood trial but was acquitted when all the witnesses mysterious retracted their statements. The TV version of Alfie Solomons depicts him as the Jewish boss (another unnerving performance from Tom Hardy here) but that’s not quite the truth. Solomons, along with his brother Harry, was certainly active in the Jewish underworld and was no stranger to violence, but he wasn’t the man in charge. He crops up in the records a few times, associated with gang related crimes. In 1924 he was accused of murdering a man at the Eden Social Club. Fans will remember that the Eden Club was the name of the ostentatious London venue that serves as the site of territorial warfare between the Shelbys and Sabini in series two. The real club was reported in The Times as a rather less glamorous ‘two storey premises above a motor garage’. Slums on Garrison Lane, home of the fictional Shelby family. So what should a student of history take from Peaky Blinders? If we look at the historical record, the real Peaky Blinder gang had waned by the 1920s. It’s doubtful that they ever used razorblades as weapons. But they were part of a longer history of street gang culture, the 19th century Slogger gangs that emerged from the slum areas of Birmingham and a forerunner of the powerful Birmingham Gang under Billy Kimber. It doesn’t take much digging to find the real stories behind the extraordinary characters that Knight has created – this post only touches the surface. Knight has done his research, taken characters and ideas from history and made them into something entirely new. What is clear is that the series is a labour of love, and Knight takes pains to be respectful to the history of working class Birmingham, its people and its gangs. After all, it’s his history too. As a piece of storytelling it’s a masterful example of having fun with history. Against the backdrop of Birmingham's gangs, Knight weaves in numerous story lines based on real political events. Knight describes ‘the history stuff’ as ‘nails in the wall – if you put one or two nails in then you can hang what you want on it. But the nails have got to be there.’ It’s a brave approach that will have the purists gnashing their teeth, but at the end of the day I have to agree – when it comes to drama, it’s the story that matters, and this one has me on the edge of my seat. Peaky Blinders series three airs on Thursdays at 9pm on BBC Two. For further reading, check out Carl Chinn’s book, The Real Peaky Blinders and Gangs of London by Brian McDonald. I thought the first series was a real breath of fresh air, a totally new way of using historical fiction. Great performances and storytelling. I agree Catherine. Something very different in the crowded world of period drama. I'm a big fan, as if that's not obvious! This new series starts for us in the US on May 31st on Netflix...can't wait. Well developed characters and fab costumes....and the best soundtrack around. Missed this post first time round. Thanks, Katherine for such a well researched fascinating piece. I'm a HUGE fan of Peaky Blinders - as a Brummie, how could I not be? Historians are such kill joys, thank goodness for people's stories!